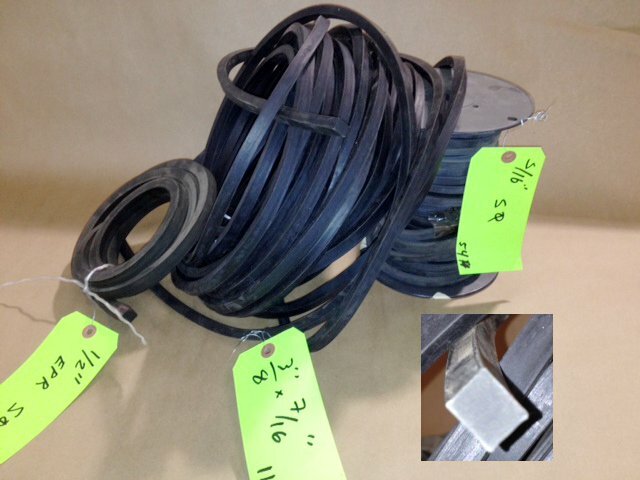 Our molded rubber products are manufactured to a specific application. We provide molded rubber can seals for Zacmi, Atlas Pacific, and other fillers. We also have u-cups, scrapers, and tank door gaskets. Extrusions can also be provided in varying cross sections. Cross sections range from o-ring, rectangular, trapezoidal, half dome, and custom cross sections. Extrusions can be cut to length. Rubber comes in various formulas.